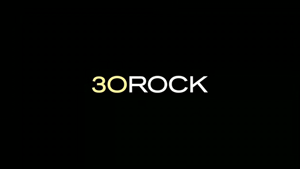 Quick Thoughts: 30 ROCK, "The Tuxedo Begins"
After last week's episode, there was a minute there when I thought that I'd be done with 30 Rock. Thankfully, the show was able to rebound with the slightly dated, but still very funny "The Tuxedo Begins." Like always, the highlight for me was the Liz/Jack A-plot because not only did it involve the only two characters that I care about, but it was also responsible for a silly yet entertaining spoof on Christopher Nolan's Batman franchise with Jack playing the role of Bruce Wayne and Liz as The Joker. Not only was their story the source of most of the laughs, but it also gave us another glimpse at their friendship which I'm always a fan of. Heck, I didn't even hate this week's Jenna story which is unheard of. Paul's always been hit or miss for me mostly because he's just another wacky character in an already overstuffed line-up of wacky characters, but the idea of him and Jenna settling down and being a normal couple much to their surprise was the right mix of ludicrous and sweet. Another reason why this episode was successful: very little Kenneth. I don't know if "The Tuxedo Begins" won me over enough to stick with 30 Rock since the rest of the season has been spotty at best, but it was a nice surprise and I'm glad I checked it out.